FREE INTERNATIONAL SHIPPINGThis product is heavily discounted because we hope more people can afford it.This prayer journal was inspired by the movie "War Room". 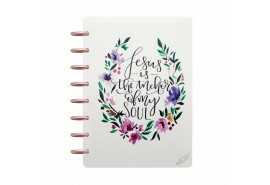 While having a war room in your closet or basement would b..
FREE INTERNATIONAL SHIPPINGThis product is heavily discounted because we hope more people can afford it.This prayer journal was inspired by the movie "War Room". While having a war room in your closet or basement would..